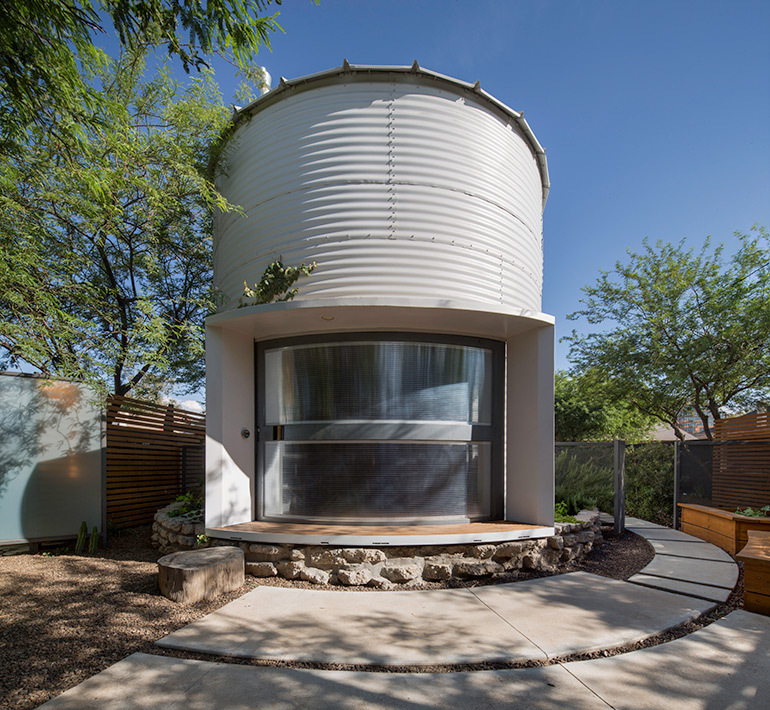 Nestled in the Garfield Historic District of downtown Phoenix, Arizona, this contemporary rehabilitation of a 1955 grain silo is challenging conventions of what home is. 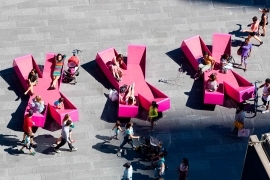 Not only did Christoph Kaiser of design and architecture studio Kaiserworks LLC develop the concept and design, but he also personally funded and built the project, demonstrating the potentials entrepreneurial architecture, urban renewal and upcycling. 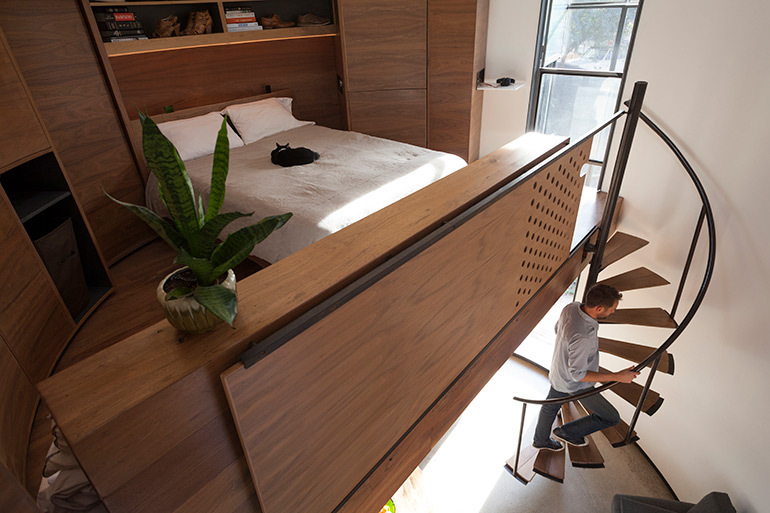 When Christoph discovered a Kansas farmer’s dismantled silo for sale on the Internet, the dream of creating an ultra-compact yet comfortable living environment with inexpensive and untapped resources was born. Assembling a found kit of parts small enough to be transported in the back of a pickup truck that would result in a comfortable, modern and unique home was a very appealing design challenge from sustainability and economic point of view. 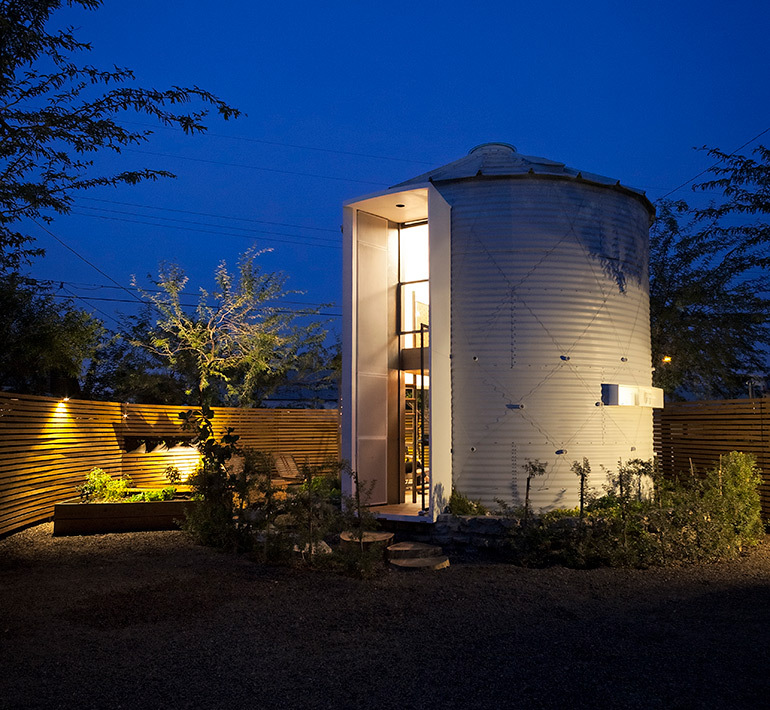 The transformation of the silo into an urban dwelling was finished in late 2014. 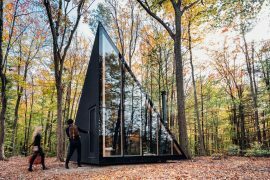 The main objective of the Silo House was to capture the esteemed sentiments and functions of a home in a radically different, radically smaller configuration. 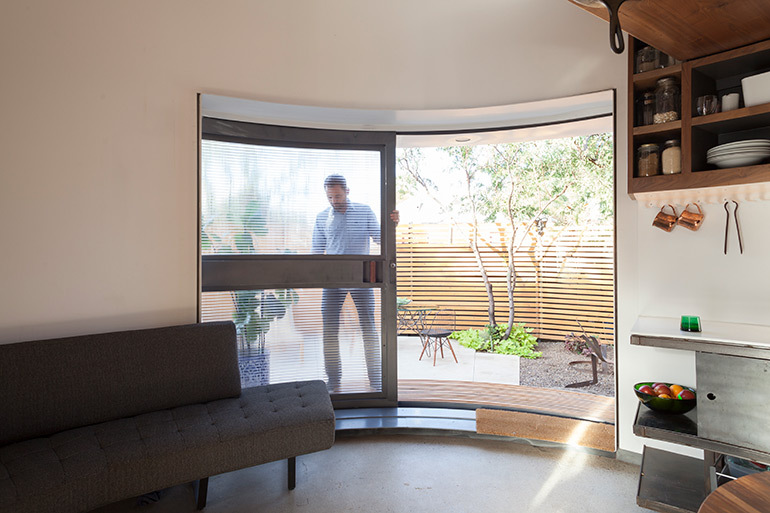 Working with only a 226 sqft (21 sqm), circular footprint, the Silo House program provides a comfortable home for one or two people. 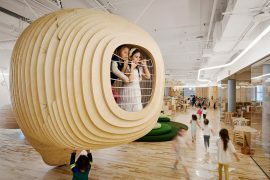 The design itself is conceived as the marriage of two different but complementary parts: exterior shell and interior object. 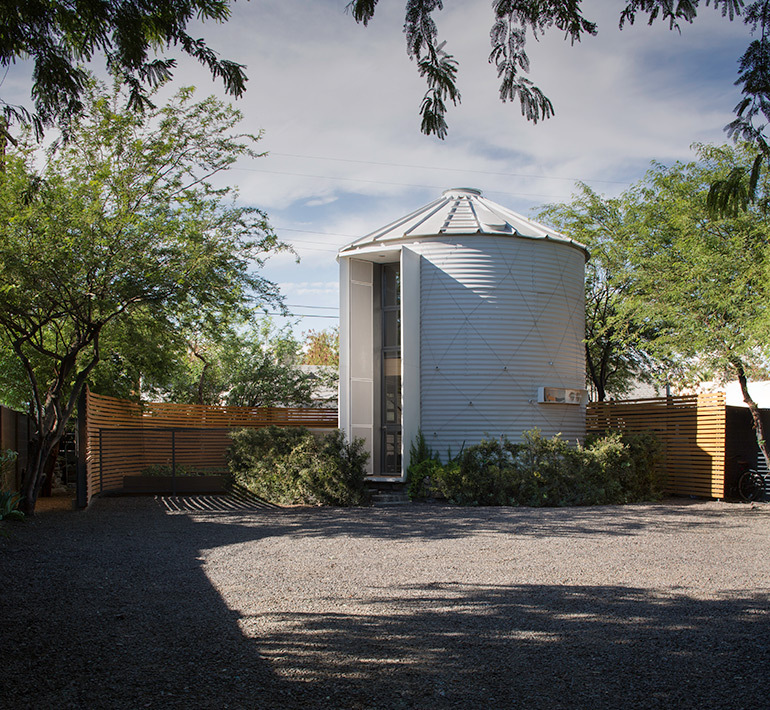 The silo’s exterior, preserved in white, pays homage to the rural and agricultural spirit of the great American landscape and also serves to reflect the intense desert sun. 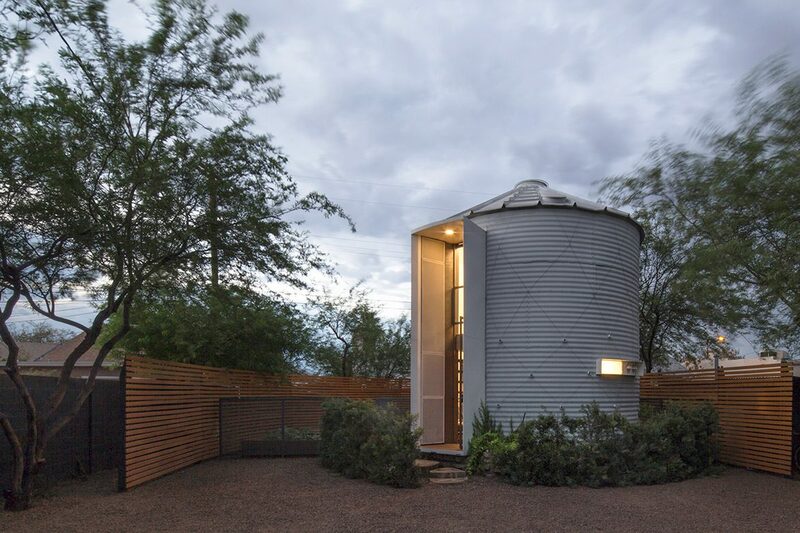 The large, warm, monolithic wood and steel machine for living that sits within the silo, reads as a single, Wurlitzer-size piece of furniture, warmly and efficiently accommodating all basic, human dwelling needs. 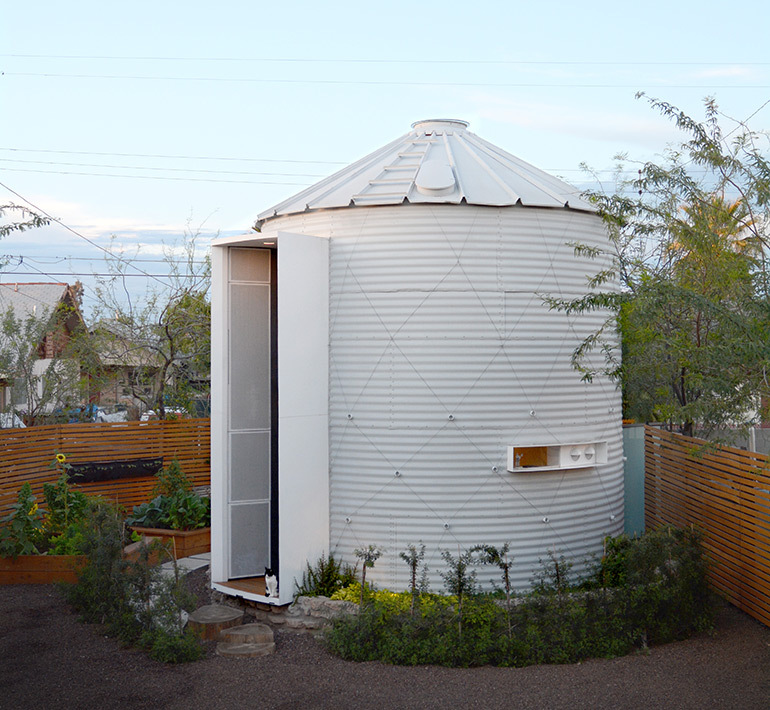 The kitchen and bathroom amenities, as well as HVAC, storage and built-in technologies are contained within a 3’ crescent that hugs the silo’s southern wall. 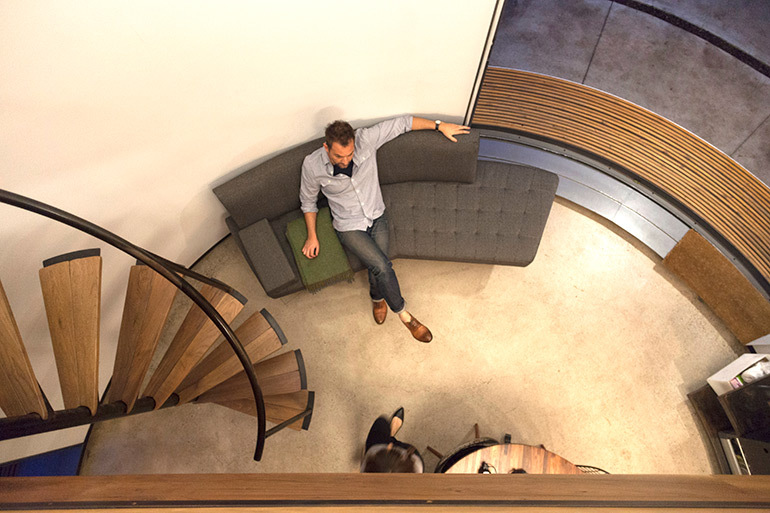 This design approach maximizes construction efficiency, usable floor space, and the perceived spatial volume of the interior. 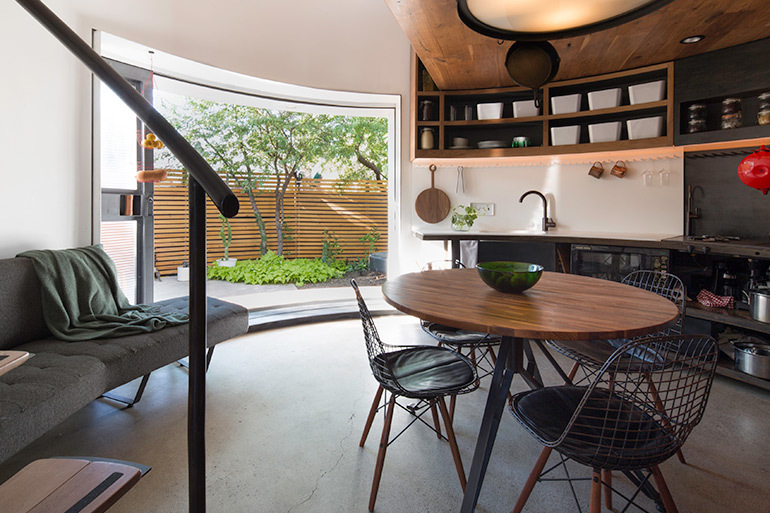 Subterranean air ducts that mitigate mechanical noise from the AC system also work passively, in conjunction with an operable skylight atop the silo to deliver passive cooling. 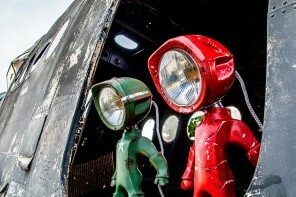 Two aspects of the surrounding neighborhood context played crucial roles in the design strategy of the project. 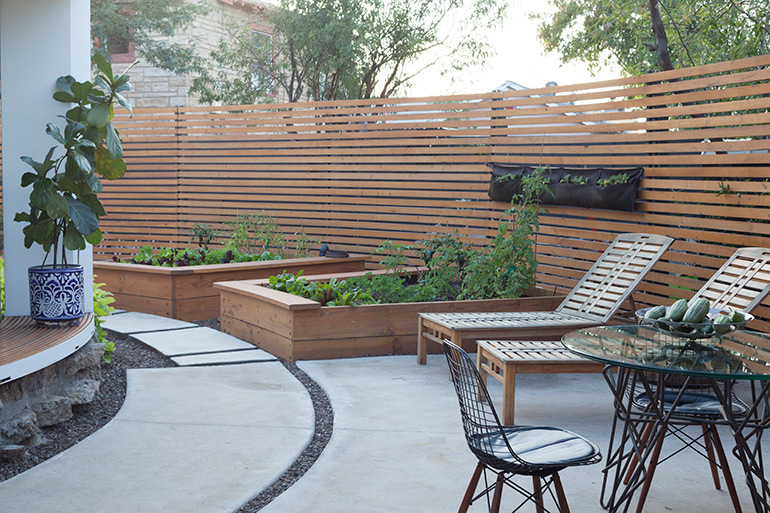 First, the blighted state of the surrounding homes and alleyway in this downtown core neighborhood required an insular design approach. 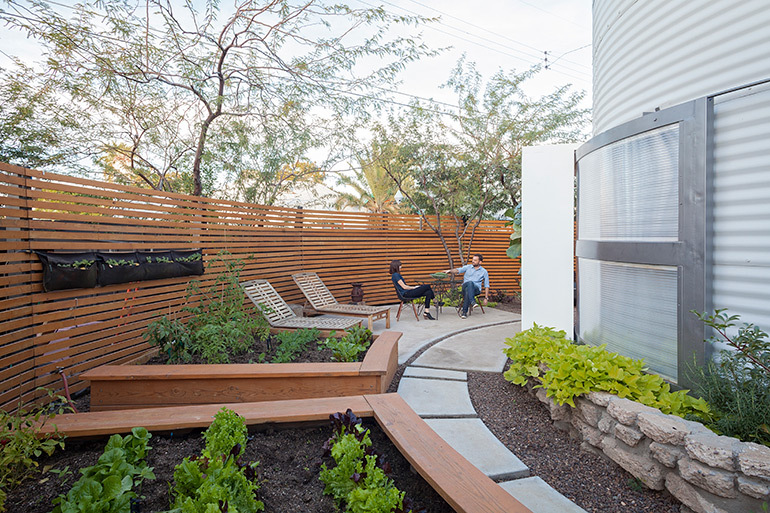 Strategically framed views of the Phoenix skyline are provided within an otherwise enclosed exterior garden that acts as a natural, private buffer to the contrasting neighborhood context. Second, addressing both the rich historical context and current blight of Garfield Historic District was a consideration that required a balance of reverence and boldness respectively. 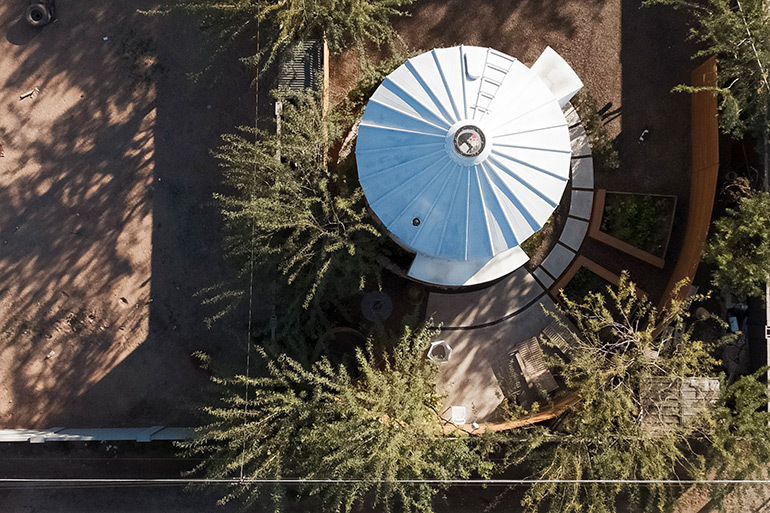 The project was graciously accepted by City of Phoenix Historic Preservation with an appreciation of how projects like this can act as a catalyst for community rehabilitation. 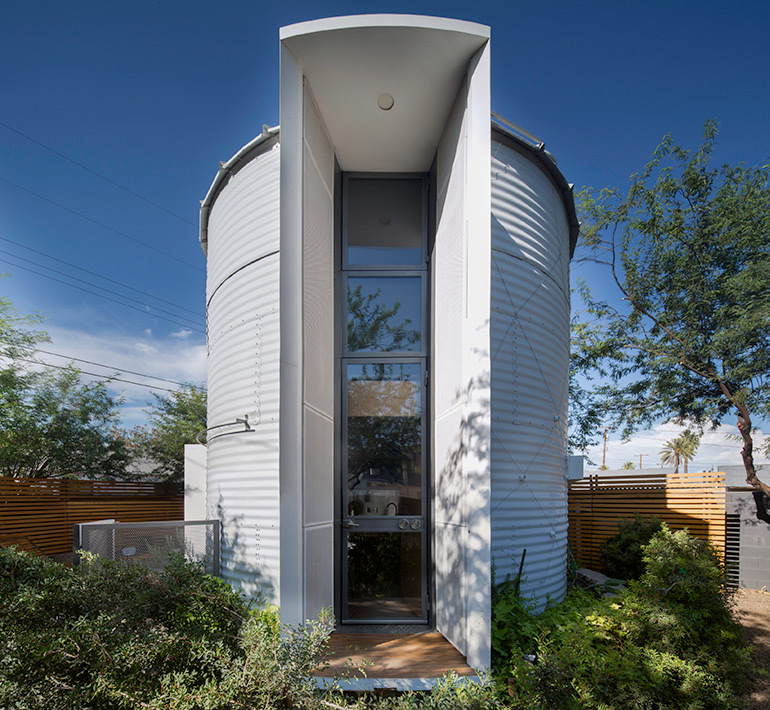 Silo House explores the relationship between a home’s efficient use of space and its ability to bring delight, wonder, and inspiration to those occupying that space by using design as an impetus to spark the imagination and stir the soul. 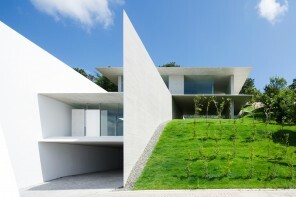 And in addition to this project, Christoph Kaiser and his studio are currently working on a kit version of the Silo House.